Movie inspired props are always a cool thing to see recreated in LEGO, even if it's the smallest detail or piece of equipment. In 2017, we have seen the sun set on such an iconic hero for several generations -- Hugh Jackman's Wolverine. 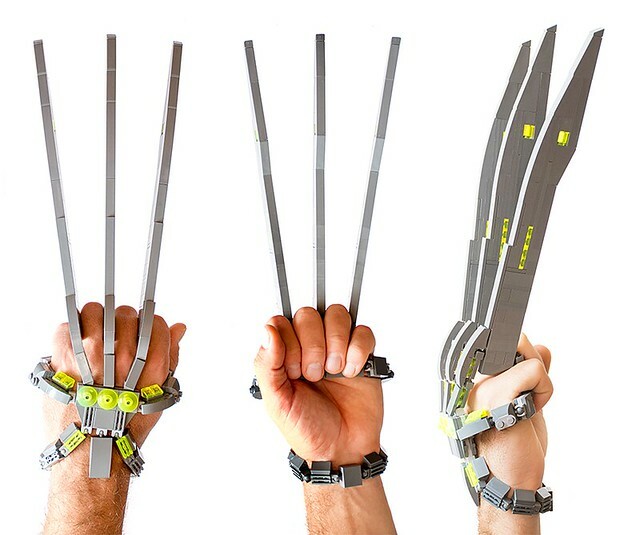 Though he only had the parts to build one set of blades, Milan Sekiz has revealed his Adamantium Wolverine claws. Man, are these things so cool...and shiny. Obviously these blades would not be supported between the fingers on their own, so Milan came up with an interesting solution, making them into a pair of super scary and sharp brass knuckles, that attach at the wrist. 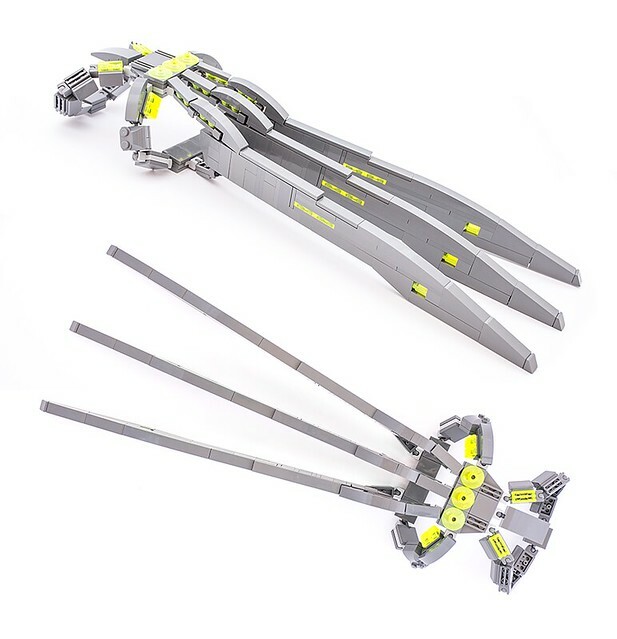 They are instantly recognizable as the Wolverine's claws, but they also could be some sick blades for another warrior. Incredibly cool model!